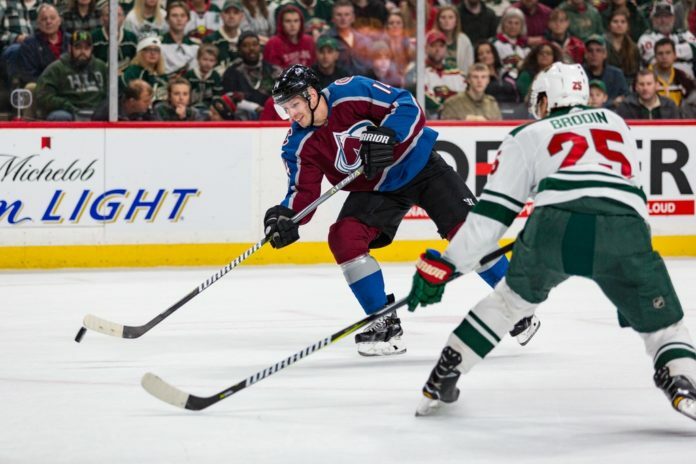 The Minnesota Wild halted the Colorado Avalanche winning streak right in its tracks. 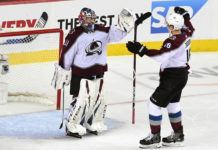 With a thrilling, highly-defensive 3-2 shootout loss in Minnesota on Friday, the Avs missed out on their third straight victory. The game against the Wild was anything but mild, and perhaps a perfect metaphor for Colorado’s past few weeks on the ice. Starting Nov. 5, the Avs couldn’t shake their opponents when they dropped four straight games, but bounced back to win against Dallas at home. 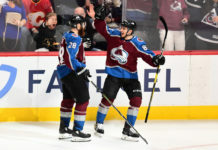 After losing at Nashville the next game, the Avs returned to their early-season fighting form and took the next two — heading into Friday’s matchup. 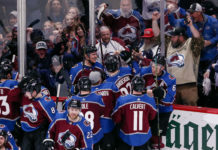 Though the Avs started off slowly on Friday — allowing a quick Minnesota goal — they bounced back to take the next two scores before the Wild netted the equalizer. But following a battle the spanned two full periods, including the five minutes of overtime, Colorado just couldn’t get the job done. For much of the night, it was a tale of two goalies. Colorado’s Jonathan Bernier saved the puck 25 times for a .926 save percentage. The Wild’s Alex Stalock was slightly better on the defensive end, making 28 saves (.933). The Wild got off to a quick start, as Jason Zucker bested Bernier just a minute into play. Nine minutes later, J.T. Compher retaliated with a shorthanded score of his own. That set up nicely for a Blake Comeau goal with four minutes left in the first period to give the Avs a 2-1 lead headed into the first break. In the second, the Wild found an in when Nino Niederreiter outsmarted Bernier to regain balance in the contest, 2-2. Throughout the rest of regulation, the Avs dominated the defensive game but couldn’t get much going offensively. The same held true for the Wild, as the two teams entered overtime with a 2-2 score. In OT, the Wild pounded Bernier with shot after shot, but Bernier proved impenetrable as he held off long enough to force a shootout. Despite strong play in the crease up to that point, he fell apart in the final, one-on-one matchups with Charlie Coyle and Chris Stewart. His teammates, Nathan MacKinnon and Mikko Rantanen didn’t help him out much either, as the Avalanche fell, 3-2. With the loss, the Avs dropped to 11-8-2 on the season and return home on Saturday to take on Calgary at 8 p.m.